Basketball Address Number Plaque - - personalized address number plaque is the approximate size of a traditional standard basketball. Wall mount. Large 4" or 5" numbers. Made in USA. Address line holds up to two (2) 4" characters or one (1) 5" character. 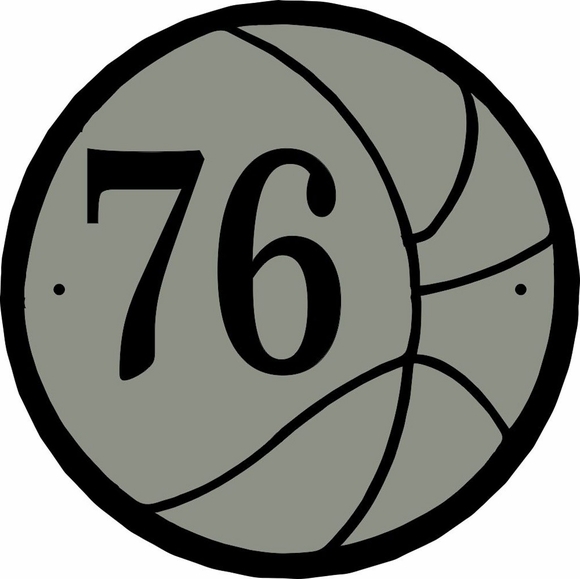 Click top link in Related Products for a Basketball Shape address sign that holds three or four smaller characters. Colors: brushed stainless with black characters (shown in large image) or brushed gold with black characters (see small color chart).